For a new parent, a travel system is a very common item. All parents are concerned about any danger that could happen when you are traveling with your baby. So, it doesn’t matter if you are traveling by car or just for a stroll in the park, there is always a chance of something happening. 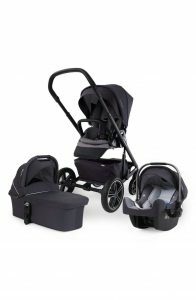 It is important for you to find the best travel system on the market that works for you and your baby. First what is a travel system? A travel system is a stroller that includes a rear facing car seat and a stroller. The seat can be easily detached and attached from the stroller which allow you to move your little one without having to take them out of the seat. 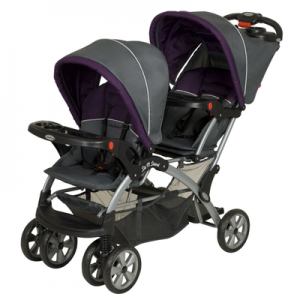 These strollers are really popular for new parents who don’t want to disturb the sleep of their newborn. There are a lot of travel systems out there and picking the right one can be tedious but it can also make traveling so much easier and safer for your little one. Picking a popular pram from a catalog could cause you to be unsatisfied with the purchase and give you buyers remorse which comes from rushing into the purchase, especially if you are a new parent. With all this in mind, and a pretty demanding newborn to impress, below are some of the best travel systems available right now. I really love this stroller. Check out my full review of the Nuna Mixx. If you are a first time parent, then you can’t go wrong with the Bravo. With it having just about every feature that the more expensive systems have, this one is quite impressive. This system is easy to use and it is super easy to fold up and put away with one hand, which with a newborn that is kind of important. It is also super lightweight, so you can move it around easily and have it work with just about situation that you are in. The one thing that it doesn’t do is that it doesn’t lay back flat at all, the leg rest is not adjustable and it can be a bit expensive. Other than that it is great. Right from the start this travel system is amazing. The box isn’t even heavy and I was able to move it around and pick it up with no issues. It is also easy to assemble, so if you don’t read the instructions, you are still going to be good to go. It takes about 5 minutes to be completed and you can take your little on a ride. Even when you are jogging, it is easy to maneuver. The base for the system has a handle bar that you can detach or attach the seat with ease. It has a great padded headrest with gave my newborn plenty of support and it was easy to clean. I did not like that front cup holder bar comes off and the build quality wasn’t what I expected. If you are like me, you are constantly on the go and this is an all-terrain stroller that my newborn loved. 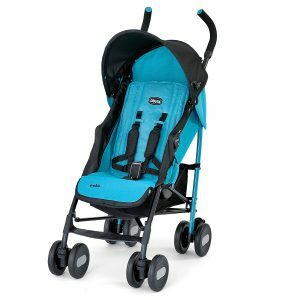 It has a lot of adjustment options, and the stroller combo is easy to adjust and easy to handle depending on what you need. It also comes with a newborn insert to hold your newborns head in place when you are out. Converting the system for a car seat is even easier that is leaves all my other strollers in the dust. The base straps connect to my LATCH system and just two clicks and I am done. The seat just slides into the base and its done. 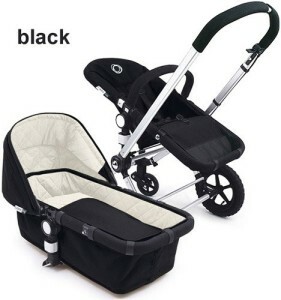 When you are in stroller mode, you will find the ride smooth and plus there is a lot of storage so you can carry everything that you need right under the seat. You don’t even have to worry about carrying your phone in your pocket, as there is a cell phone holder right in the handle. The only thing I didn’t like was that it is pretty big to handle on your own, but once you get the hang of it, it is a breeze, but this is the go to stroller for my guy. This is a great jogger and car seat for your little one. Most parents, myself included, have settled for this system after trying our luck with other brands. It is the best baby travel system for the price. The whole system is lightweight, but it is sturdy enough to deal with whatever you throw at it. You can break it down easily and unfold it easily. Even if you have more than just 1 little one, you can do this system with just one hand. There are slots on top to hold your cups and your phone, if you have certain requirements. I often use one cup holder for my water and the other for little snacks for my little one. 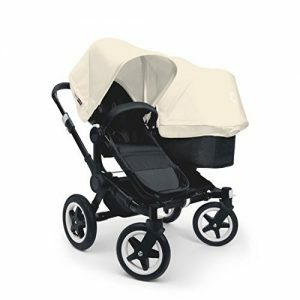 I love that it gives my little one a smooth ride, it has a uniform design all over and it is great for my outdoor activities. I do not like that I have issues taking the stroller from the base and after a lot of use, the front wheels will begin to wobble, but that is easily fixed. It doesn’t matter if you are a seasoned parent or a new parent, you cannot put enough thought into comfort and safety for your little one. Many new parents decide to purchase a stroller that can be used through the years with their little one. 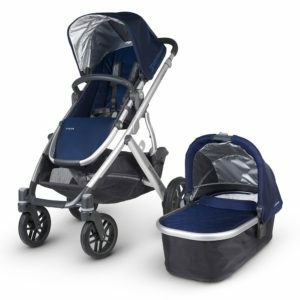 You should be on the road to finding the right type of travel system for your little one with the helpful information on the best systems on the market right now.